Whenever you look at those tummies, fatty guys (no offense meant to those obese people) what comes first to your mind? How do they get there? Is their condition hereditary? All very interesting questions with equally interesting answers but, another question which is just as interesting is what happens or what are the repercussions of this syndrome called obesity? 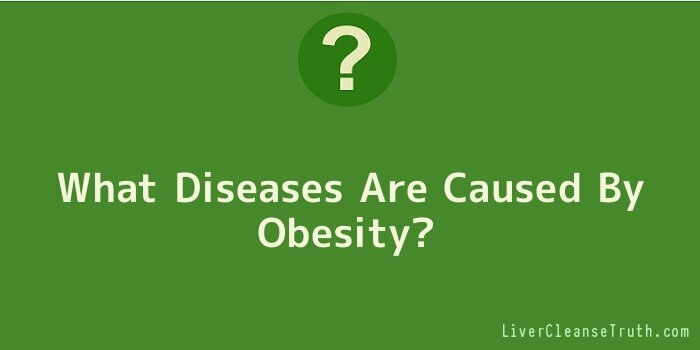 There are number of diseases caused due to this obesity. Fatty liver disease occurs more commonly in these people. In this particular case, fat deposits tend to build up over a period of time & can cause damage to the liver tissues. It is really very difficult to find out whether the person is really a victim of that disease or not because it has very few symptoms to identify. By that time the liver might have severely damaged. This is commonly associated with those who are also suffering diabetes & high cholesterol. The main reason for obesity is the fact that people tend to eat foods which are highly saturated in fat. Obesity will in turn give birth to so many diseases. But dietary fats are source of energy to our body & which are main source to produce compounds which in turn controls different bodily functions such as blood pressure, heart rate & blood clotting. Generally, our body needs certain amount of fat for regular & smooth functioning but too much fat will only lead to serious problems. Balanced & recommended diet is that one which is low with fats as well as high in energy where our body gets adequate fats required without prone to high risk health problems. These are some of the common illnesses which are caused due to heavy fats in our diet. A) Heart Disease – Obesity is closely connected with high blood pressure & high cholesterol which can increase occurrence of heart attack. It is generally observed that fat people are more prone to heart failure. B) Diabetes (type II) – Obese people are also vulnerable to type II diabetes. This type of diabetes is called as non insulin dependent diabetes. Resistance to the hormone insulin is also caused due to obesity. Due to this only (insulin resistance) the person turns to be a diabetic (type II). C) Cancer – Certain cancer such as breast, endometrial, colonel & kidney cancers is the results of obesity in majority of the cases. D) Osteoarthritis & Gout – Obesity can increase the risk of developing osteoarthritis in the hips & hands. It also increases the occurrence of gout. Both gout & Osteoarthritis can cause heavy pain to the joints culminating restriction on movement. E) Sleep Apnoea – Obesity is a common cause for sleep apnoea. Here, in this particular disease breathing starts & stops during sleep. It forces a person to wake up at a constant interval during the night. Due to this person may suffer fatigue during daytime. F) Fatty Leaver Disease – It is more likelihood that obese people will succumb to this disease. G) Mental Problems – With the statistics, it can be concluded that obese people are more prone to depression. Those who are overweight suffer social isolation & loneliness which eventually turns into depression. There are two types of fat, those that are saturated & unsaturated. The saturated one is more harmful as they increase low-density lipoprotein (LDL) cholesterol levels & leads to coronary artery disease. Other than weight loss program there are numerous ways to get rid of obesity. But it solely depends on you to choose a technique which will get rid of from obesity. There are some weight losses products are also available in the market to get rid of this problem.